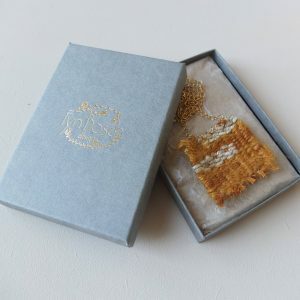 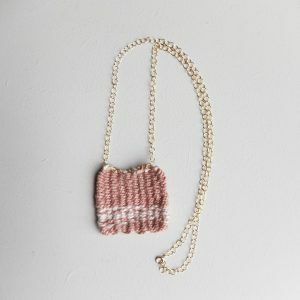 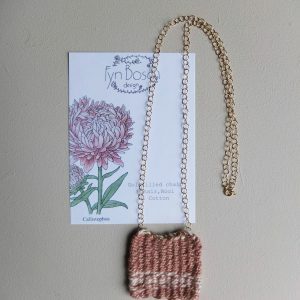 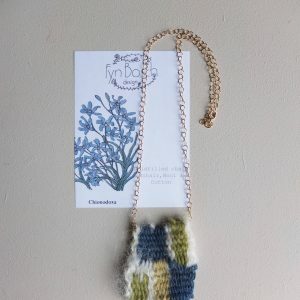 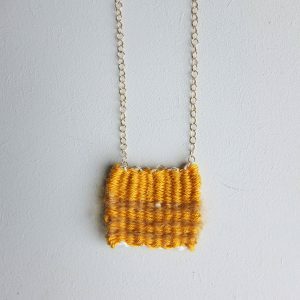 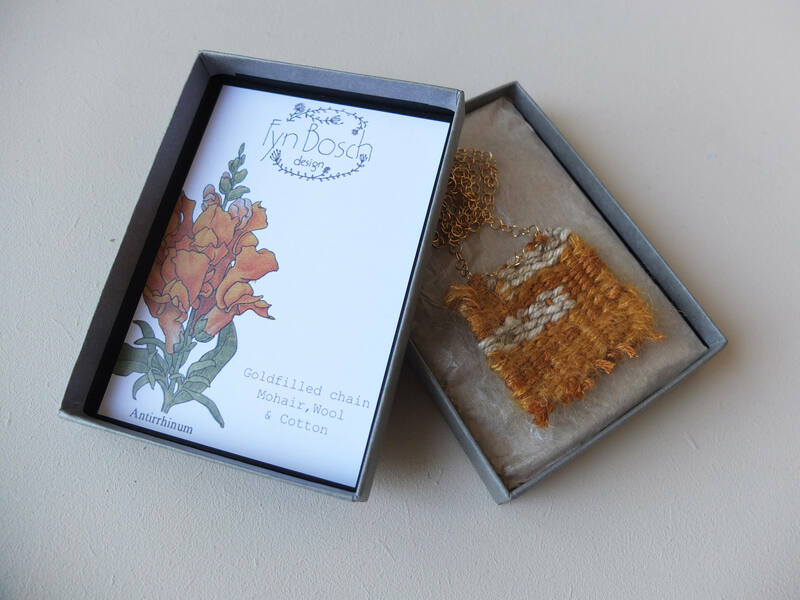 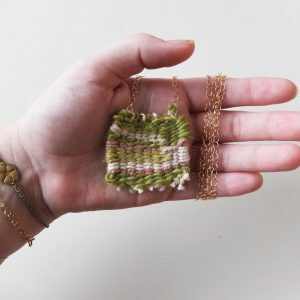 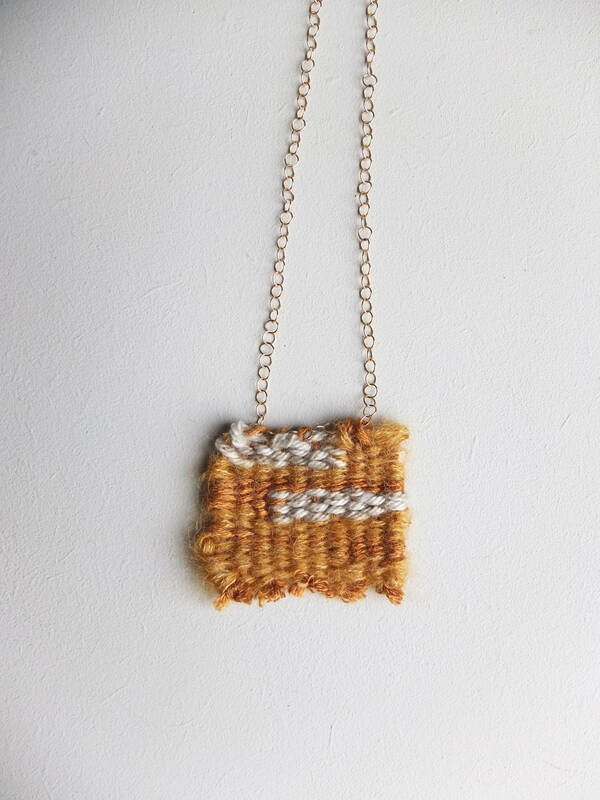 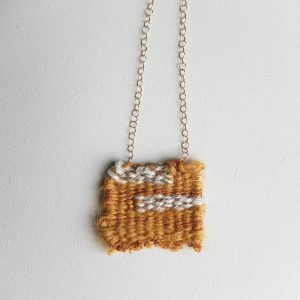 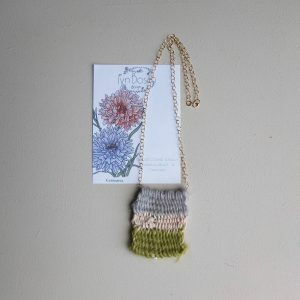 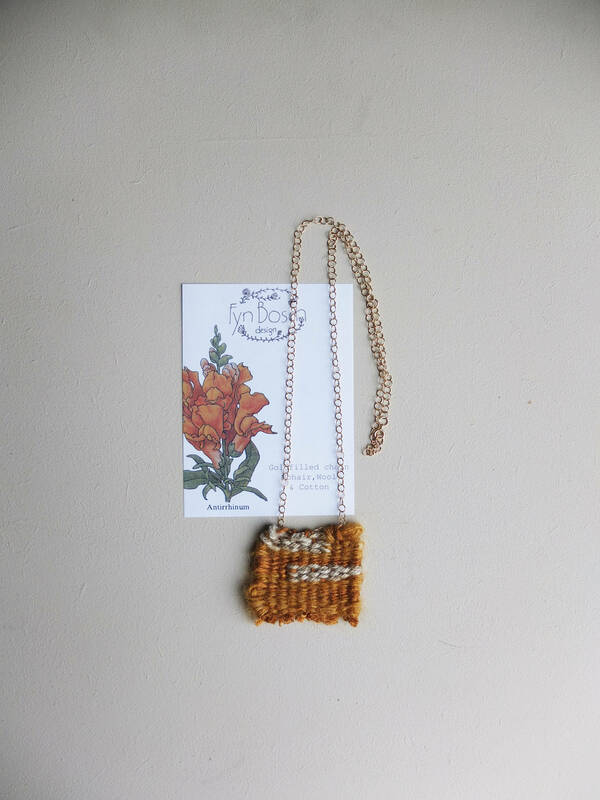 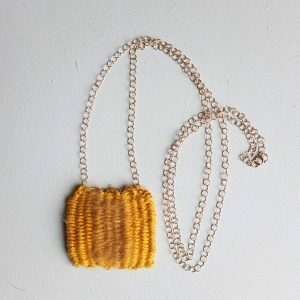 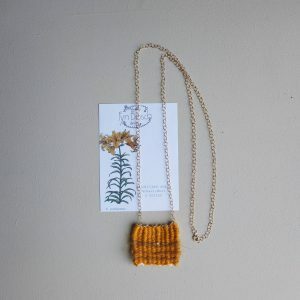 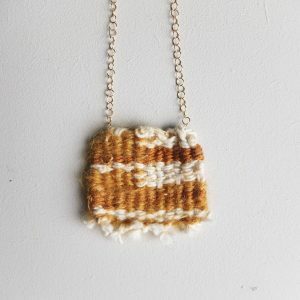 These delicate and delightful all natural woven necklaces are inspired by botanical drawings of Dutch flowers found in a 1971 gardening book “12 Months of Gardening” passed down from my partner’s grandfather. 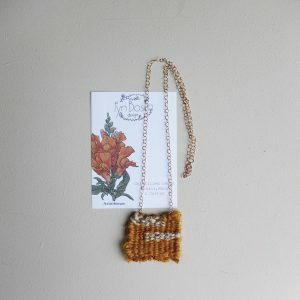 Every necklace is accompanied by the botanical illustration it is based on, as well as the fibers and materials used to make the piece. 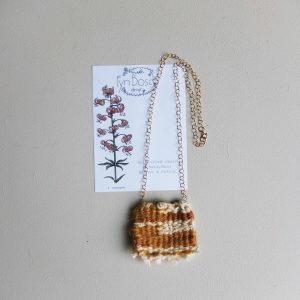 Each tiny weave is completely unique even if the same floral illustration is used. 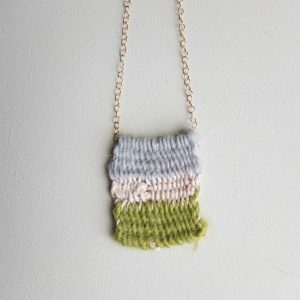 All fibers used are natural yarns such Mohair, Wool, Cotton, Linen, Silk or Bamboo. 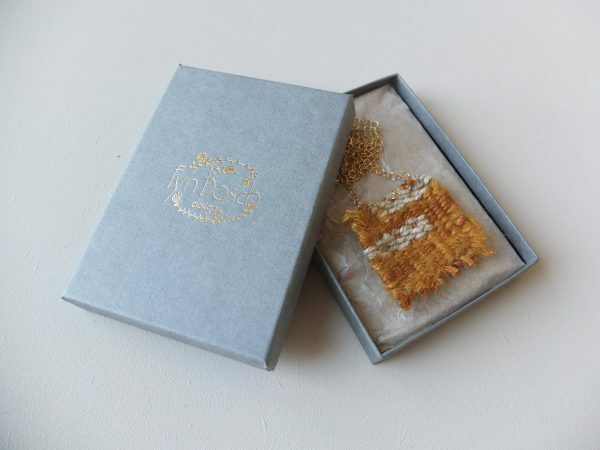 The chain is Gold filled – A great quality mixture of 14k gold and bronze, that never tarnishes. 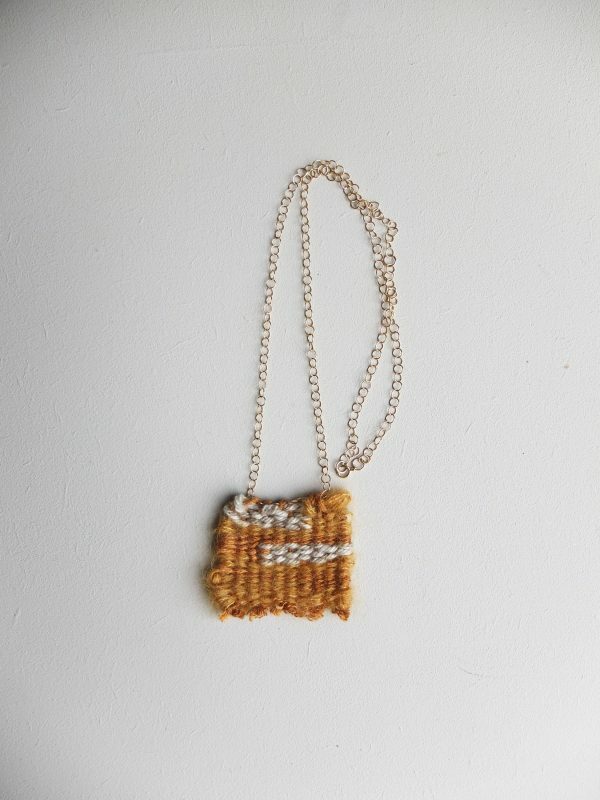 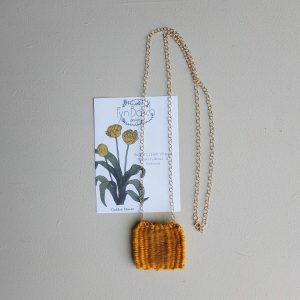 These unique floral woven-art necklaces come in beautiful narrow grey linen boxes with the FynBosch logo and the info label on the inside. 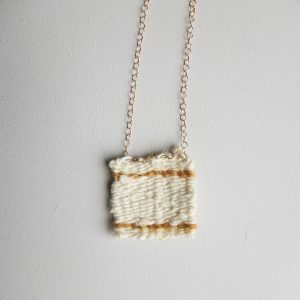 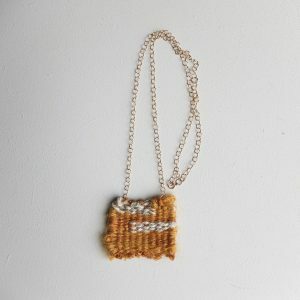 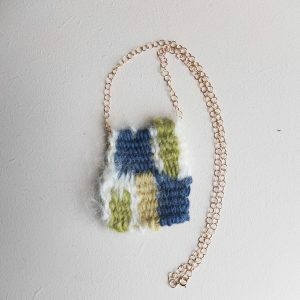 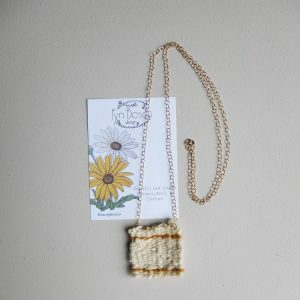 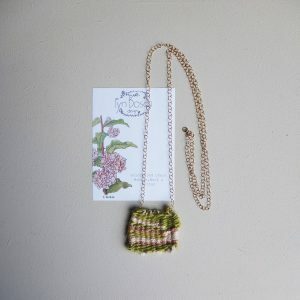 Please let me know if you would love to have your own personalized botanical woven flora necklace! 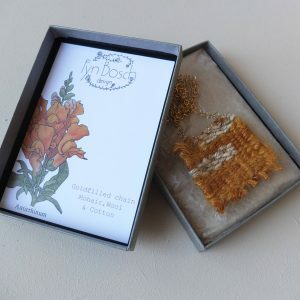 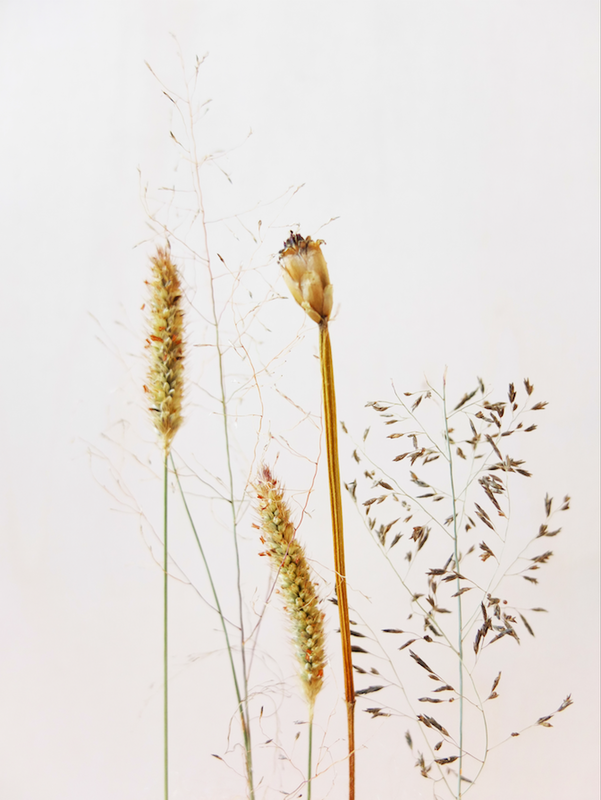 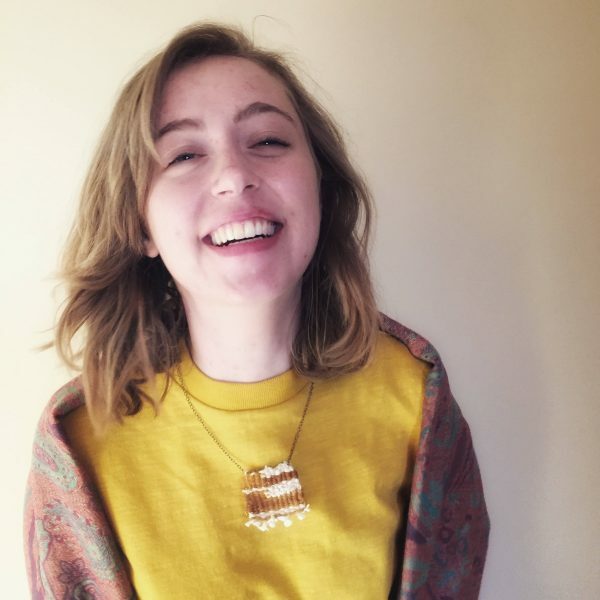 Just send me a picture or illustration of the flower or plant you wish to immortalize in all natural fibers and the necklace size.